TRUE TO THE NAVY (1930) --- I've been searching for a word to describe Clara Bow's Paramount talkies, and have arrived at "confining." Seemed True To The Navy would never get away from a drug store counter around which interminable chat revolves. Bow still had looks and personality, both hamstrung by microphones and a camera nailed down. Paramount was ruthless at wringing what value was left in her name. But then CB was no worse used than other stars on their roster. Her leading man is Fredric March, then a relative newcomer, but too urbane and Broadway-bred to be seeking "soivice" at Bow's soda fountain. Stock comedy is tiresome province of one Harry Green, his ethnic act a staple at early-30's Paramount. I wonder who among employers thought him funny enough to continue using. 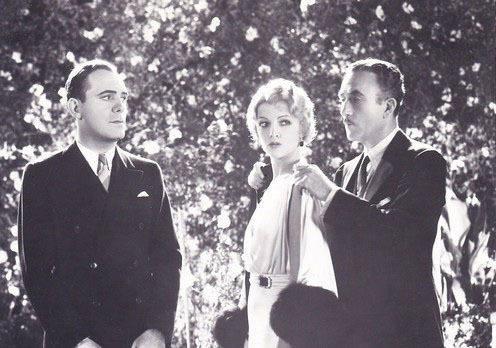 Get-it-done talkies didn't allow for luminous close-ups such as lavished on Bow in Wings and It days. Yack-yack pervades True To The Navy, innervating reels of it, Clara and others stood stock still to recite dialogue we'd happily do without. Bow jerks sodas, but has a maid at home, to whom she performs the picture's one song. Paramount's indifference reflects all over. What we know of behind-the-scenes make these vehicles (and Para itself) hard to admire. Nothing about True To The Navy suggests care or application of effort. Frank Tuttle was a good director, but only with workable material. No commitment on Bow's part could have overcome disadvantage here. She would do a handful more, then leave Paramount. 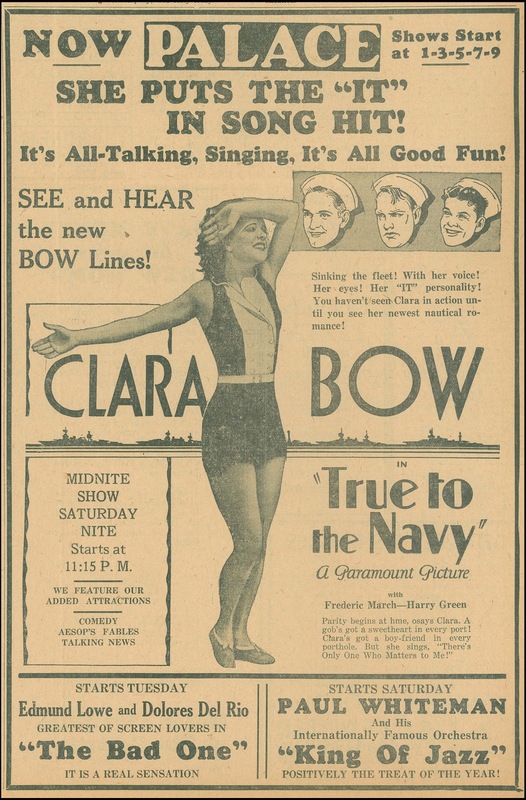 Better instinct for self-preservation might have helped her change the tide, but Clara Bow was about showing up for work, not evaluating or looking to improve work she was given. MOMENTS IN MUSIC (1950) --- This was part of a series of shorts produced under the auspices of the Motion Picture Academy during the late forties and into 1950. 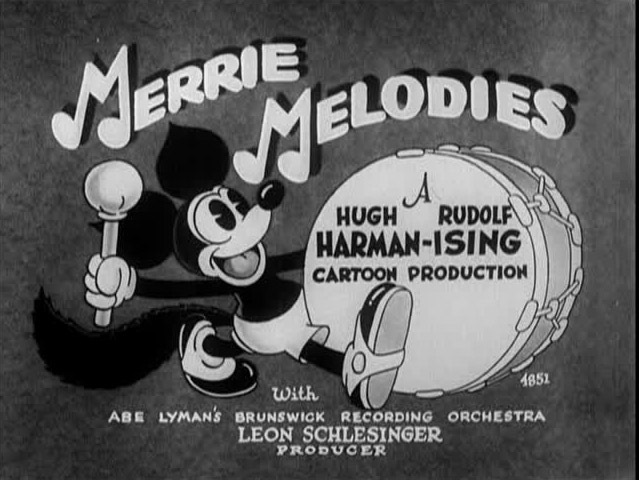 Each major studio contributed one or more subjects (Moments In Music from MGM), their mission to boost an entire pic industry and keep families attending as families. This, however, was waning day of all movies appealing to everybody. Fragmenting of patronage was around a 50's corner, and all of Hollywood's PR effort, including this series, was for naught toward slowing it. Emphasis of Moments In Music is on films' potential to enrich viewers with classical and operatic performance. 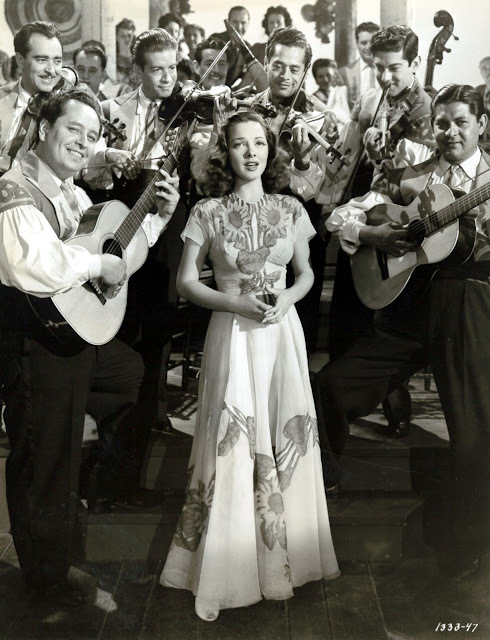 There is acknowledgement of swing and "boogie-woogie," but it is capacity for class being advanced, thus Stokowski, Jose Iturbi, and Jeanette MacDonald/Nelson Eddy for highlights. Oddly no Deanna Durbin, even though access would have been had to footage of her (all of studio libraries available for clip usage in each subject). We're led to think from Moments In Music that audiences young and old would be forever linked in loving establishment Hollywood and tunes it offered. The fact that wouldn't be the case lends sad subtext to an otherwise beguiling reel. THE STRANGER FROM PECOS (1943) --- Johnny Mack Brown in the second of a Monogram series begun in 1943. 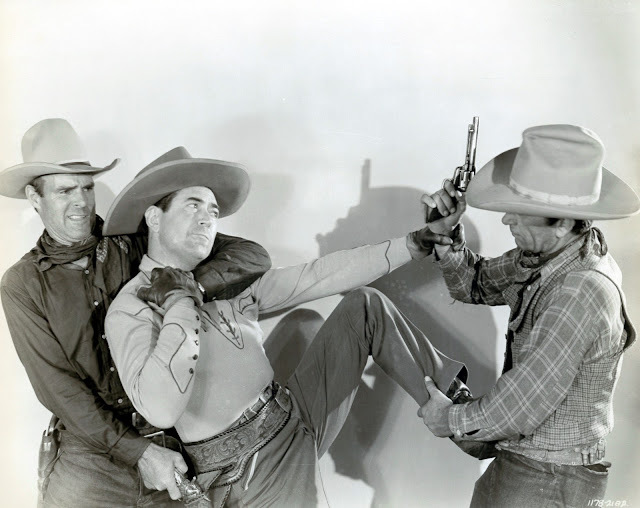 He's a federal man earlier played by Buck Jones for a Mono group with Tim McCoy and Raymond Hatton, but Jones had died, so continuation fell to Johnny Mack, minus Tim, but with Hatton continuing as comic support. Brown was capable enough with dialogue to forgive dearth of action in these. He fights less, "investigates" more. 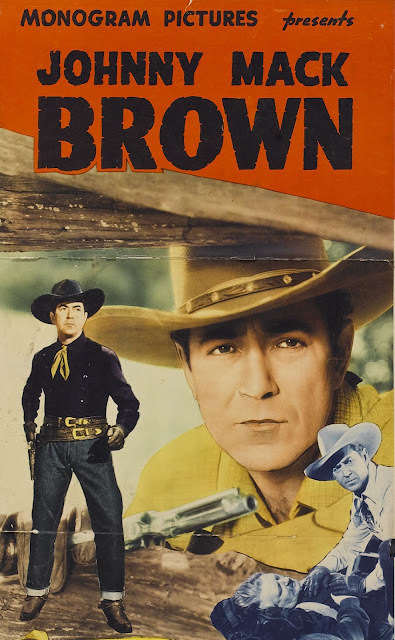 Too much talk on blah sets was staple of Monogram B's, but The Stranger From Pecos has expertise of Brown and sidekick Hatton, their byplay a sustenance for the 57 minutes this lasts. One Stranger scene has them reminiscing about events from the last western they'd done. Roy Barcroft and Charlie King are welcome heavies. These Monogram Browns haven't looked so good since 40's newness. Warner Archive packages them on DVD and will hopefully continue doing so. 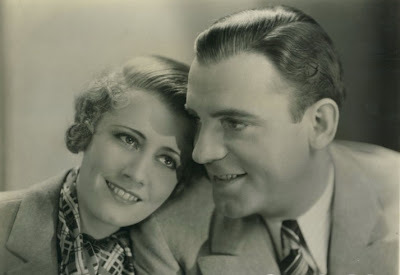 CONSOLATION MARRIAGE (1931) --- Irene Dunne and Pat O'Brien marry on rebound of jilting by former lovers. This is precode by definition, but dullish in execution. RKO under exec producer William LeBaron churned drama with sameness of imprint in slo-mo tempo that make latter day sits an effort. The concept is interesting. You know the old girl/boyfriend will be back to renew claims, but it plays with singular lack of urgency. Dunne and O'Brien are equal to uplifting task, they'd save worse vehicles in a past and future. There's John Halliday in customarily splendid support, and Myrna Loy sprinkles precode spice where she can. RKO needed supervision of a David Selznick and later Merian C. Cooper to elevate merchandise. Consolation Marriage and so many from early Radio seasons were drugs on a picturegoing market and barely improve with age. 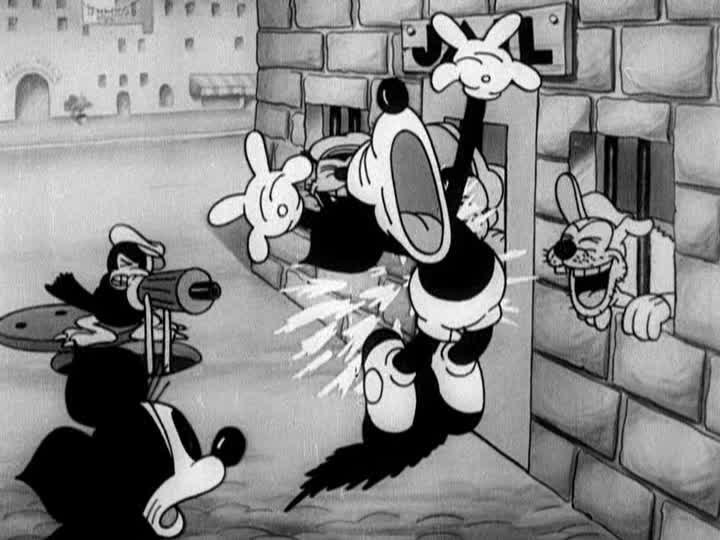 ONE MORE TIME (1931) --- Warner Bros. was eager, nay desperate, to develop a next Mickey Mouse. 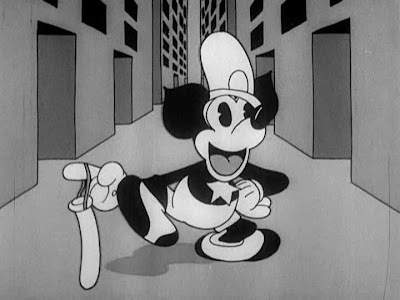 Their efforts went begging, like everyone's, at least for initial 30's seasons when sole recourse seemed to be plagiarizing Disney's mouse outright. One More Time's "Foxy" is a Mickey photostat with a bushy tail and rodent ears that come to a point. Difference beyond is less than negligible. Foxy acts and reacts like Mickey, the latter such a powerhouse as to make competitors put all restraint aside in efforts to clone him toward profitable end. WB had bought the Brunswick Music Company, thus had a deep catalogue of song. These would frame cartoons and hopefully sell piano sheets. All they lacked were onscreen words and a bouncing ball. Gags proved timeworn and not much funny even then. Characters set on crude mostly shoot razz berries. That would end with Code enforcement. 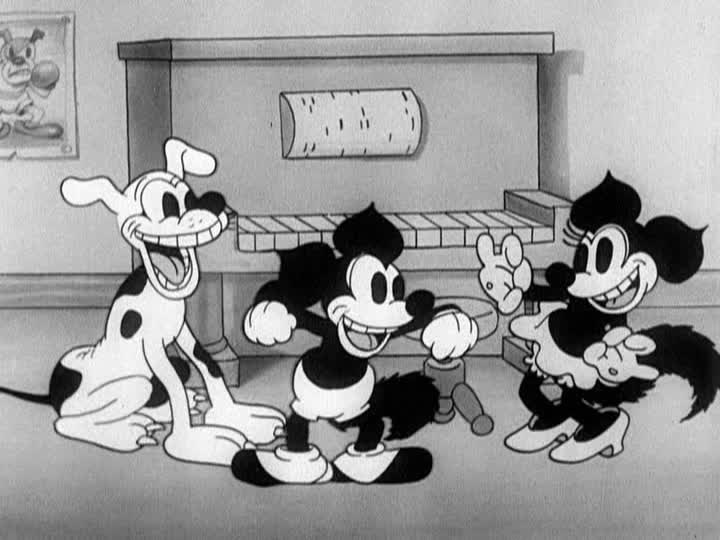 Even bits and background figures are drawn like Mickey, with scarce attempt to conceal the theft. Disney needed a lawyer army to stop burgling from his easels. Foxy wouldn't last and didn't deserve to. There'd not be one more time for him after One More Time. Warner cartoons improved when talent like Avery and Clampett came to create Porky, Daffy, and the rest. These were what finally put end to Mouse-napping. Seen on Looney Tunes Golden Collection: Volume Six. 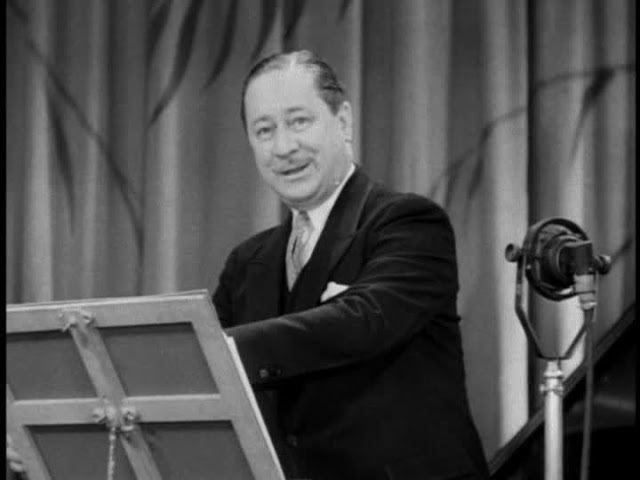 MUSIC MADE SIMPLE (1938) --- This is one of MGM's Robert Benchley shorts. You either like his stuff or don't, few half measures apply. Benchley would do situation subjects where he'd try to sleep or train a dog to comic effect, the Algonquin's Ed Kennedy or Leon Errol. Then there were ones that put him behind a podium for a reel's duration, Music Made Simple among these. Humor being subjective can figure on some that'll howl through any Benchley lecture, as neighbors on a same row sit in stony silence. His humor was what they called "droll," which is to say it's not much practiced anymore. Benchley suits me best when decorating a China Seas or Foreign Correspondent and not overstaying his wit. One reel of all-Benchley will do --- two reels would have been stretching his point. Robert Benchley is one of my favorite writers. Tiny things in the Benchley movie shorts make me laugh out loud. I think I'm reacting to what Benchley saw as "guy things" -- his "fearless in public but helpless in private" male audience. His AN EVENING ALONE is an entire reel of Mr. B puttering around the house when his wife is out. I ran this for a crowd once, and the men in the audience howled at the little bits of business, like Benchley carefully straightening a drape and looking guilty as hell while doing it, because the drape has to be just the way the wife left it. The later Joe McDoakes shorts trafficked in the same "I know everything, wifey" situations but with more frustration and aggression. Benchley's "Joe Doakes" comedies are calmer and gentler, and I recommend them highly. Warner Archive has the entire M-G-M run. The trade critics loved them: "This latest Benchley opus will add to his already high batting average"; "the Benchley brand of humor has yet to pale," etc. 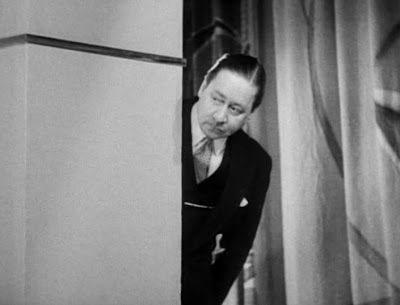 With Benchley, sometimes you're mentally filling in what he might write while he dutifully plays a dumb husband sitcom. A bit like watching a silly Will Rogers silent and filling in the personality from his talking films. In Disney's "Reluctant Dragon" feature, the unspoken joke seems to be Benchley gamely standing in for a sillier comic. He never plays down or winks at the camera; he's here and he's going to be a gracious guest even as Donald Duck shouts at him. My daughter became a huge fan of the Benchley shorts when she was about 12 years old. "How to Sleep" had her rolling on the floor with laughter. As for the Warners boxed set, every other short is a winner.